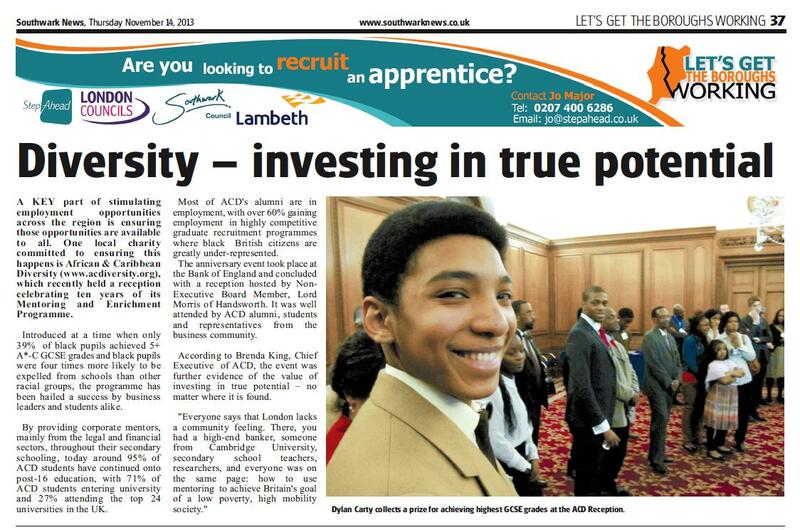 15 November 2013, London: African & Caribbean Diversity has been featured in local newspaper Southwark News as an organisation that has been ensuring that academic and employment opportunities happen for all. The London Boroughs of Southwark and Lambeth have a large potion of their population unemployed and underskilled. Southwark News LTD, an independent newspaper group with the weekly Southwark News, bi-weekly Lambeth Weekender and monthly Southwark Weekend papers, is running a campaign over the months of November 2013 and end of January 2014 to highlight for the people of Southwark and Lambeth routes into employment, access to obtaining a needed employable skills, encouraging entrepreneurship, and profiling business that work to help young people and adults to gain the skills and experiences that businesses desire. 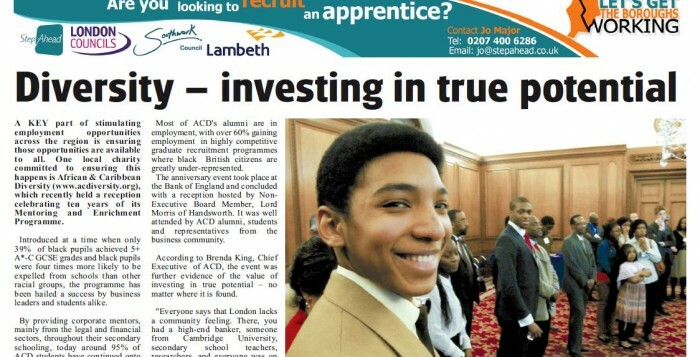 Check out Southwark News’s website for more details.